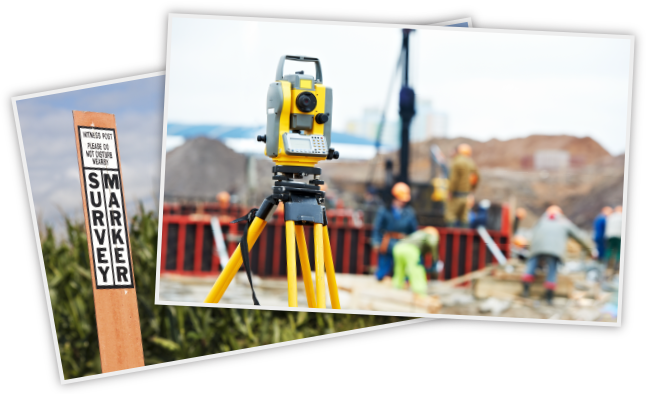 Land Surveying & Subsurface Utility Engineering | Allied Associates, P.A. From NCDOT transportation surveys and base mapping to boundary retracement, construction staking, and topographic surveys, Allied Associates is your source for accurate and reliable land surveying. With “non-destructive” vacuum excavation techniques, surface geophysical methods, and the latest field survey technology, we deliver solutions for utility location and mapping for design professionals. At Allied Associates, P.A., we specialize in providing accuracy and reliability in land surveying and subsurface utility location for a wide variety of clients throughout North Carolina. Our extensive capabilities make us an ideal partner for architectural, engineering, government, municipal, commercial, industrial, and residential clients in need of construction staking, ALTA/NSPS surveys, boundary surveys, and many other related services. We have the land-surveying and subsurface utility locating skills and experience needed to deliver a variety of services, from detailed pre-construction base mapping for design professionals to data collection for floodplain analyses using the latest in GPS and robotic surveying technologies. It is our experience, our precision, and our attention to detail which has made us a longstanding, trusted partner of the NCDOT, the NC Parks Service, the North Carolina Flood Mapping Program, the City of Greensboro, the City of Winston Salem, and many other government, municipal, and institutional clients. If you are interested in seeing photos of our expert team in action on a variety of land surveying and sub-surface utility location projects, click the “view gallery” button below for pictures of some of our completed ventures. No matter what your subsurface utility location needs, we have the knowledge, the experience, and the equipment necessary to get the job done right. Reliable and accurate location of subsurface utilities saves our customers money by reducing time delays in the design and planning stages, reducing time delays for making repairs to damaged utilities, and reducing change order requests. We can provide all survey quality levels (D through A) in the S.U.E. process as defined by the Federal Highway Administration. Our cutting-edge vacuum excavation equipment and techniques at Allied Associates give us the unique ability to safely unearth existing utility infrastructure for the purposes of precise horizontal and vertical location without the risk of costly damage. Browse our site today to learn more about us and our land surveying and subsurface utility locations services as well as to see pictures from our past projects in our photo gallery. Call us today at (336) 971-2394 or contact us to learn more about how we can serve all of your surveying needs. Allied Associates, P.A. is a highly-skilled provider of land surveying and subsurface utility surveying services to state, municipal, commercial, industrial, and residential clients throughout North Carolina since 2001. If you are in need of land surveying, subsurface utility location or subsurface utility surveys, contact us today by clicking the button below to discover how we at Allied Associates, P.A. can serve all of your requirements!